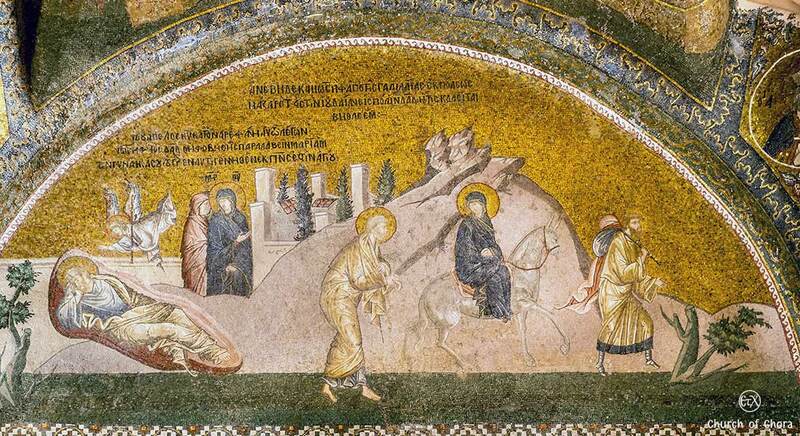 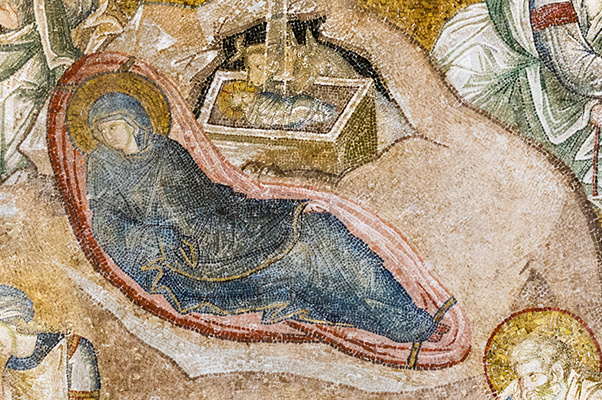 Chora Church (Kariye Museum) outer narthex (Greek: Εξωνάρθηκας) contains narrative images from the Cycle of Infancy of Christ represented in the lunettes. 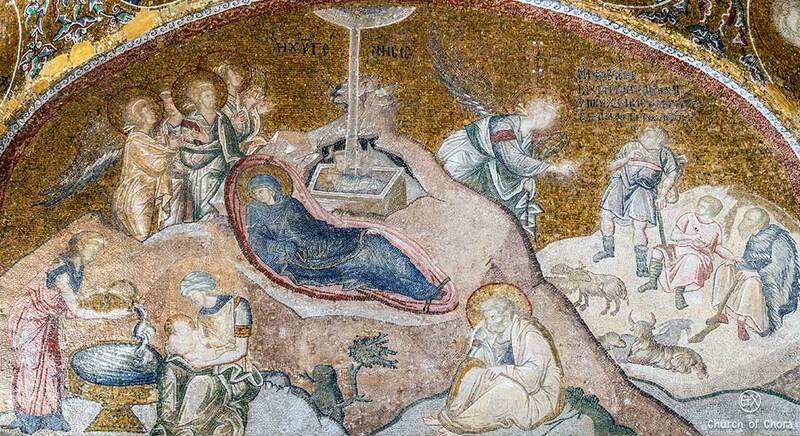 Joseph’s Dream in which an angel assures him of the Virgin’s miraculous conception followed by the Journey to Bethlehem, the Enrollment for Taxation, the Flight of Elizabeth and John, the Birth of Christ, the Return of the Holy Family from Egypt, and Christ taken to Jerusalem. 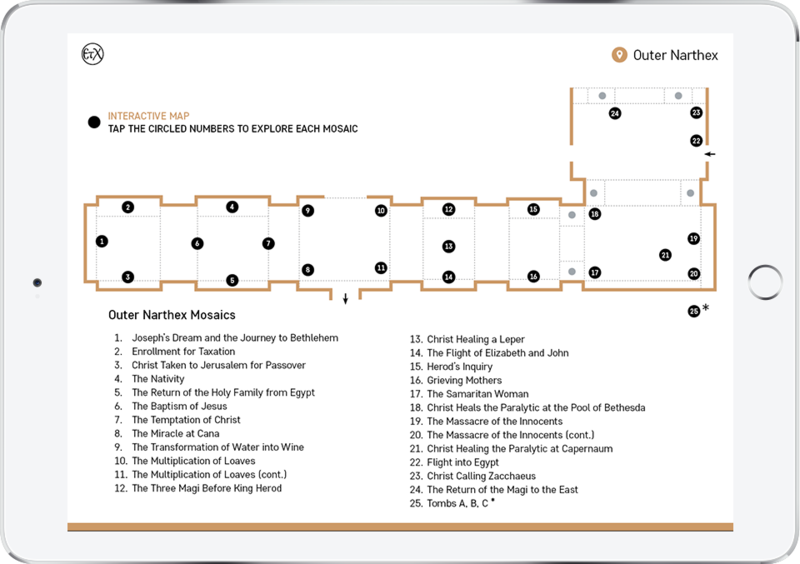 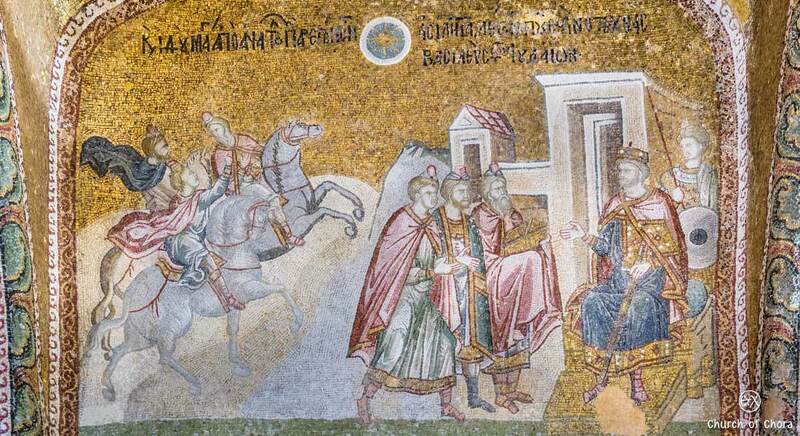 The biblical stories of the Journey of the Magi in front of the enthroned King Herod telling him that they have discovered the coming birth of Christ from the stars. 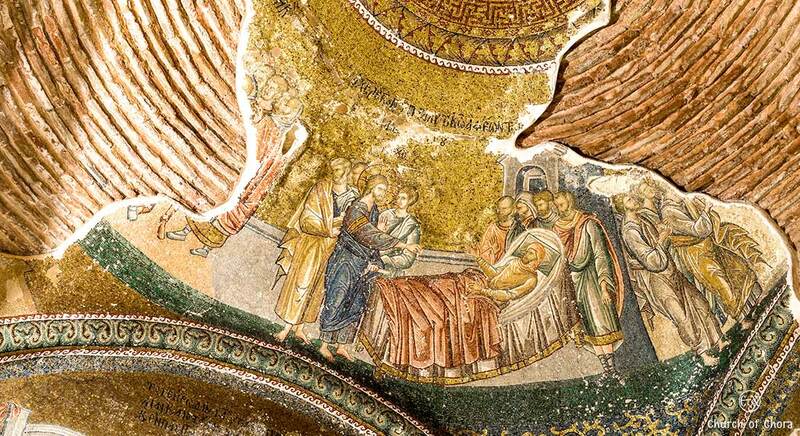 and the Massacre of the Innocents where King Herod commands to execute all male children, are represented in multiple scenes. 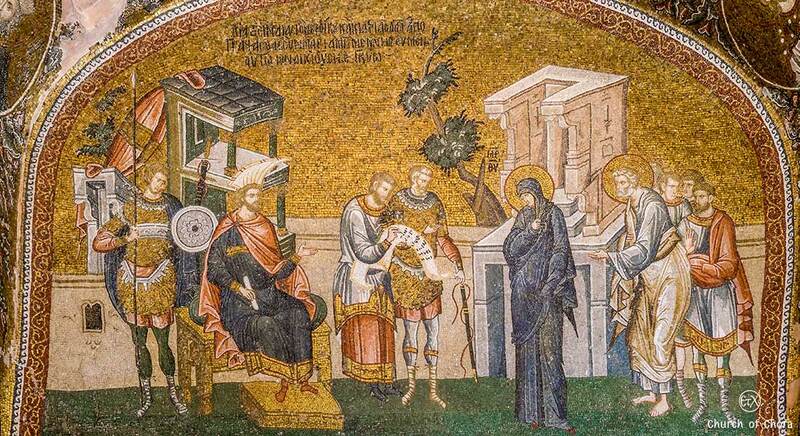 The mosaics of outer narthex hosts numerous of scenes of the miracles of Christ with the Transformation of Water into Wine Jesus’s first public miracle, the Multiplication of Loaves, an episode from the Miraculous Feeding of the Five Thousand, the Samaritan Woman, Christ healing the paralytic at Capernaum, and the paralytic at the Pool of Bethesda. 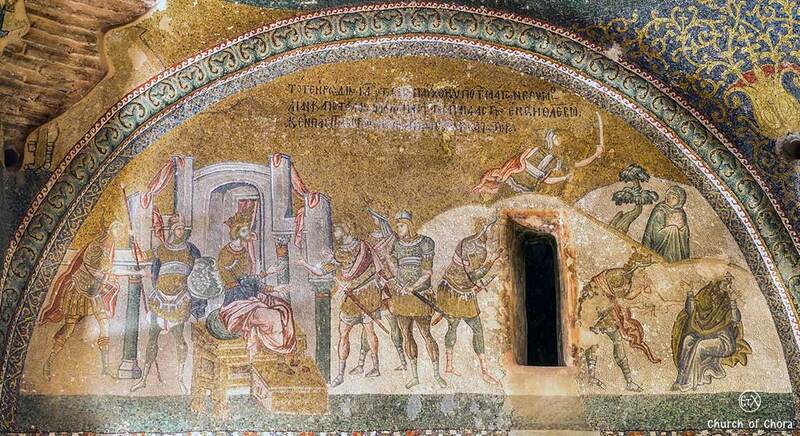 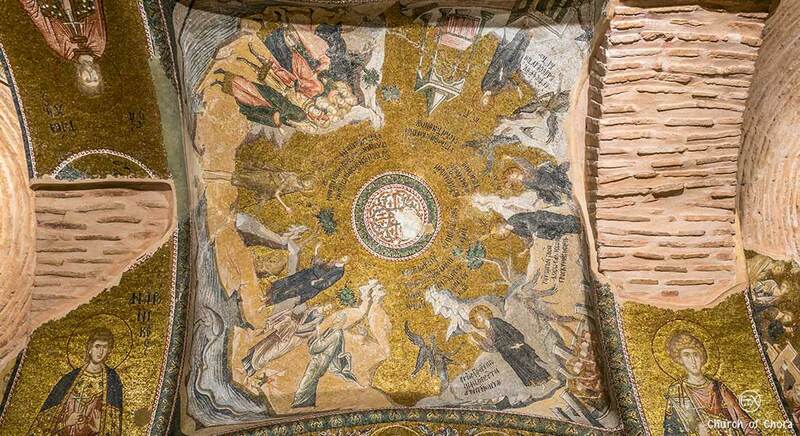 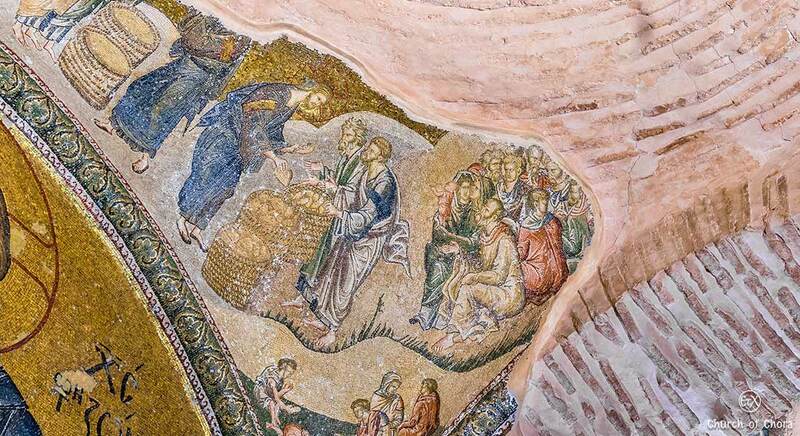 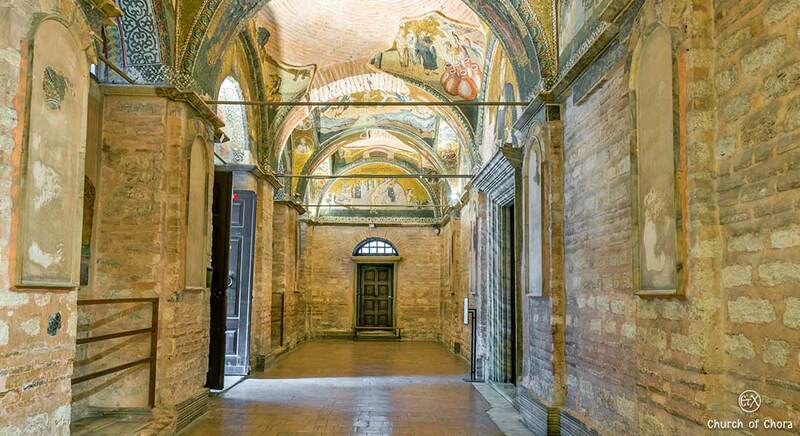 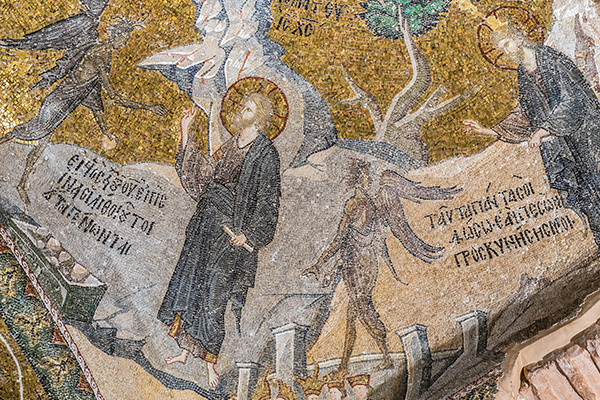 The southern second vault of the outer narthex is divided by two scenes, John the Baptist baptizing Christ and the Temptation of Christ in the other half showing four episodes of Christ being confronted and challenged by the Devil to prove his divinity.